Can't decide whether to wear denim shorts or leather pants today? Wear both! And some of these probably explain why 2017 has been the strangest year ever - a real 'another day, another wtf' kinda year. But what this French physician failed to predict was the fact that this year we'd stop wearing our clothes in the way they were originally intended to. Of course, fashion forecasts were never part of his mandate as a physician anyway. 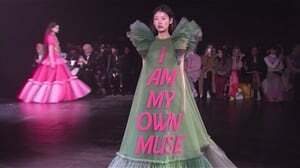 But thanks to Alexander Wang's S/S 18 'Wangfest street party' runway show at New York Fashion Week, we have predicted a few offbeat ways in which you'll be wearing your clothes over the next few months. Add a little more edge to your OOTD by finding two items of clothing which complement each, yet also serve the same function. 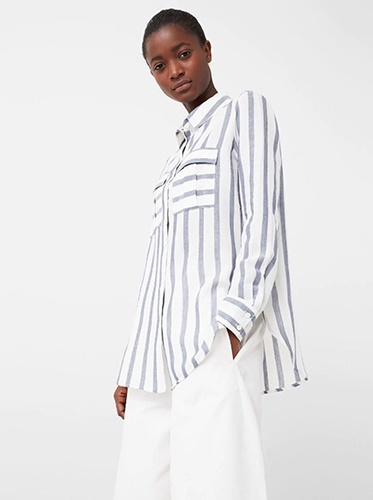 You may be familiar with the term 'deconstructed fashion', which entails raw hemlines, fraying, exposed linings, uneven stitching and visible zips. Your grandma's worst nightmare, basically. However, deconstructed layering is all about wearing various items of clothing in unexpected manners. Think long, oversized shirts tucked into mini skirts, and spaghetti strap tops worn over sweaters. We also saw a bit of this trend when designers at this year's London Fashion Week (Fall 2017) had their models strutting down the runway in deconstructed knitwear. But we shan't be doing the knitwear thing at this time of the year, surely. Now the question is: are you ready to take this trend to the streets this spring? Perhaps you can start by taking baby steps and wear your button-down shirt slightly off your shoulder. 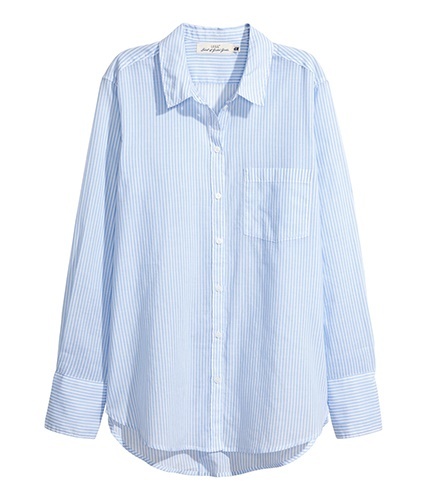 This H&M cotton shirt should do the trick, R 249. Or this MANGO shirt from Spree, R401. Zipping yourself up from the back is already quite a cumbersome task, so perhaps it's best to button your shirt halfway before you put it on over your head, lest you dislocate one (or both) of your shoulders. Who says you can't wear two skirts in one outfit? 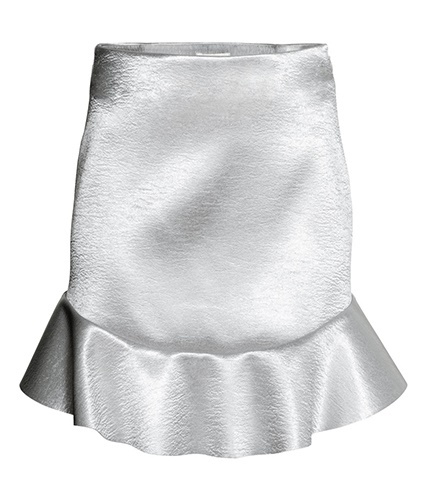 Layer this denim mini from TOPSHOP over the satin skirt from H&M, R379. The raw edge flounce should pop quite well against the tight fit of the denim mini. 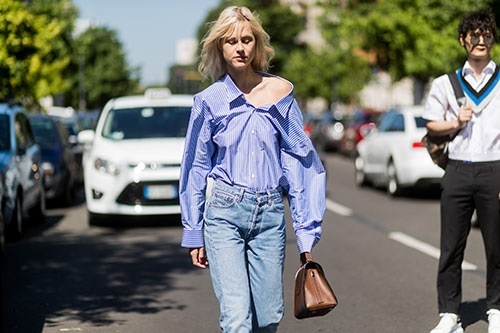 You can wear a jeans-and-shirt combo and complete the look with a loose-fitting slip dress. Think of it as just another accessory. Shop this blush slip dress by Project at MRP, R149.99. Available online on 18 September and in selected stores by 25 September. I'm sure we've all played around with the half tuck before, but now the sartorial streets have taken it up a notch. Whether it's tucking in a super long shirt in a short skirt, an entire outfit under a dress or an oversized top under a crop top/cami, this 'do is still easy breezy enough for spring. 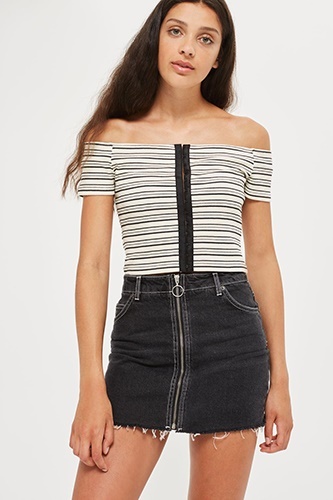 Shop this crop top cami from TOPSHOP. Which of these unconventional looks would you consider trying out? Tell us on Twitter or on our Facebook page.